I think I pretty much go by the "one at a time" rule and "strictly-informative" purism when it comes to blogging, but I cannot deny the certain charms of random collective chit-chatty posts. Well, opening a blog post is the hardest part for me as always. I think this one is well complied with the "rambling" quality of the entry itself, so here goes. I don't really use expensive hair care products but I always have different sets of poos and cons in my shower booth to switch up depending on the hair condition and claimates. I have enjoyed many of L'Oreal's sulfate free systems (although I don't really mind sulfates in general), and this new set works so nicely for my winter hair that I want to also buy the oil essence. Plus I can't help but notice the similarities between the L'Oreal OleoTherapy and the Kerastase Nutritive Oleo system. I have no intention buying Kerastase for comparison, but L'Oreal does own Kerastase. 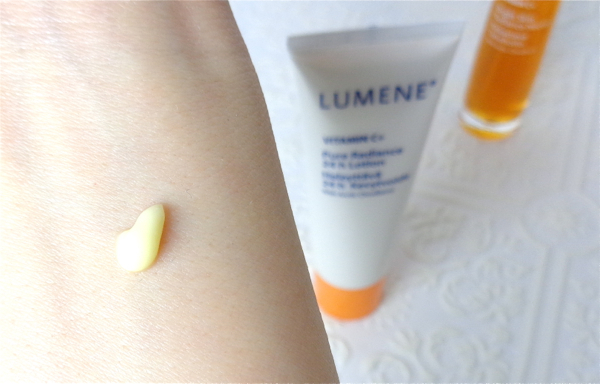 Lumene is a great drugstore skincare brand from Finland. After I used up the Sekkisei Whitening range, I wanted some radiance boosting regimen for a short period time before I start my retinol round again. 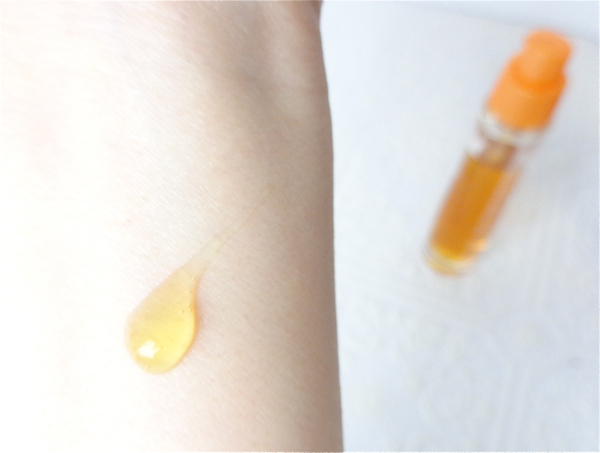 The serum works great under makeup and the lotion hydrates effectively without feeling greasy. My skin looks brighter and feels smoother. I am pleasantly surprised by this affordable Vitamin C skincare line cause my skin does not always react friendly to this natural active agent. I might revisit this line again although it seems it has been upgraded to "Bright Now Vitamin C". 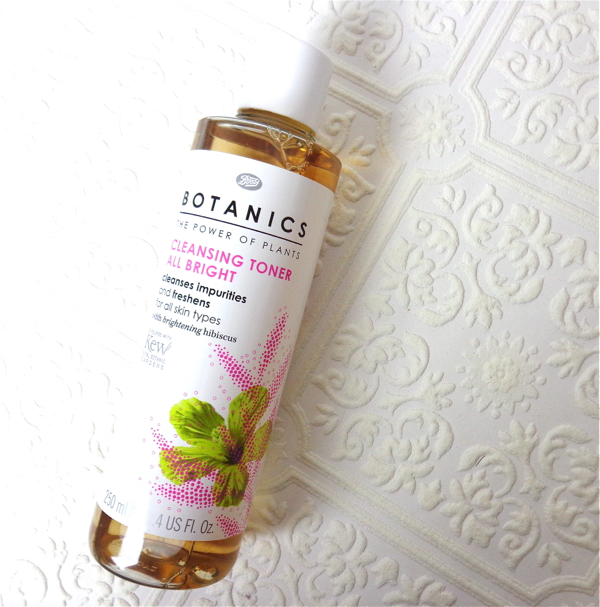 Boots is my go-to brand for effective and affordable toner for the last step of cleansing. This All Bright Cleansing Toner takes care of the last trace of whatever the day left behind and also exfoliate mildly with AHA. It doesn't look nor smell pretty, but gets the job done. I love this toner. I actually found the Lumene brand because of this eye makeup remover a long time ago. Recently I started using separate eye makeup remover again, and this was the one I went right back to. I have used so many bottles of this in the past. This is as good as the legendary Lancome Bi-facil and only coasts $5.99 a bottle. This is my holy grail daytime moisturizer for my neck area. I wish I could wear this on my face as well, but it is on the heavy side so I can't wear the recommended dosage. It works wonderfully on my neck, though. If you have dry skin, do try this on your face. Not only it contains anti-aging properties but the sunscreen agents used are very solid and effective. When I read about the range on BeautyReflectionsBlog a while ago, I wanted to try but quickly forgot about them. Recently I received one from BeautyBox5 and I fell in love with it! I mean, I don't even like coconut scent but this lip balm really rocks. You know my obsession for this range. Endless Red is the purest and the most perfect glossy red for me. I can't wait to review on this. As I have acquired this red, I am done for now since I don't see any other color I want from what's available currently. Let there be LEs. Soon. Maybe I should warn you about its strong fruity scent here again, but my love is the same. You can read my other ramblings from the links below if you like. BTW, all links in this post are provided for your reference. That toner seems like something I might like. I have this obsession with getting a new toner every time one runs out. Even if I love the one I have, I keep trying new ones. have to try the L'oreal shampoo you recommended. I have recently switched to L'oreal Total Repair hair mask and totally love it. Really want to try other L'oreal hair products but don't know which one to start. Now I know, thanks for the review and recommendation. I have been meaning to try the hair mask ever since I read your review on it! I love L'Oreal hair care line. Even the very basic line works better on me than Pantene or Herbal Essences, for example. i think i read of cerave being a really good (least chemicals or something??) sunscreen/lotion. so i'm glad to hear you like it. even tho it's for AM, maybe it would do well on your face at night since it's heavy?? They have the PM facial moisturizer which does not contain sunscreen but as moisturizing. Thanks for the link love :) And I love those Epic Blend balms! Gah, they're amazing. Also, good to read about Lumene! I've always been curious because they seem so affordable. I think I will try that the next time around. Also, Lena, have you talked about your skincare retinol routines? I'm curious to hear how often you rotate through them, what products you don't stack, etc. I've tried some other skincare products from Lumene and been always quite pleased. No nonsense brand. As for retinol regimen, I actually like Retin-Aldehyde range from Avene. OTC retinol doesn't work as effectively or has strong ordors (ex:RoC) and Retin-A is too strong and seems unnecessary for me. The Avene range is a happy medium. Thanks, Lena! I know you like Avene - been keeping an eye out for their things. Will have to give them a try! i have teh caresse stain in pink resistance and wanted to get endless red for a while. and as mentioned before SO want the new extraordinary glosses!!! Thanks for the link dearest! :D I'm so glad you found those Epic Blend Lip Balms and like them too! I HATE reading empties posts too haha-SO bothersome to me. I empty stuff too, but honestly posting about it is just ludicrous to me. I love CERAVE ANYTHING haha. It's my go to drugstore skincare brand and love everything they make! 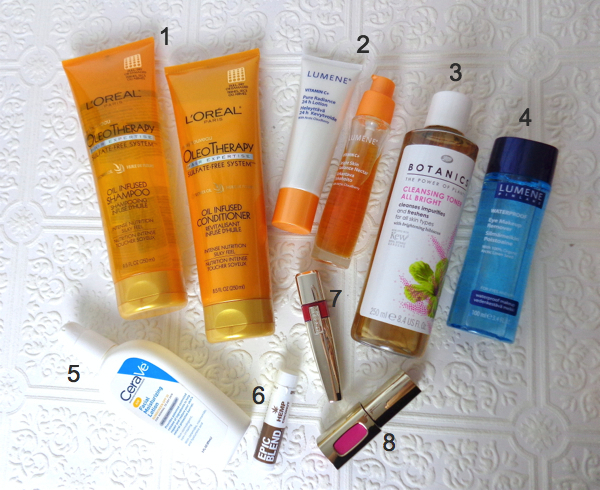 LOVE these types of posts... and I actually like empties post, because I like to see what other bloggers actually use up. You know, some might rave about something but they just don't use up anything? I'm guilty of that, but I can use up skincare like crazy. Glad you like it, Lily! I don't think we have those L'Oreal hair stuff here, otherwise I might have picked them up by now. A lot of oil-based stuff coming to the drugstores this year! I used up one Kerastase oil serum which was pretty good but not really worth the extra cost. And now I want to try that L'Oreal lip thing and those lip balms so badly! Good thing is that people don't seem to hate oils so blindly any more. I'm excited to see many more varieties with this Oleo technology. P.S. Really like the current comment setting! It was tougher for me to comment on Google+! I think now I have a good balance btw drugstore and higher-ends in terms of beauty shopping. I guess I research more before I buy anything. Boots and Lumene are pretty nice and reasonably priced. Let me know if you try them.